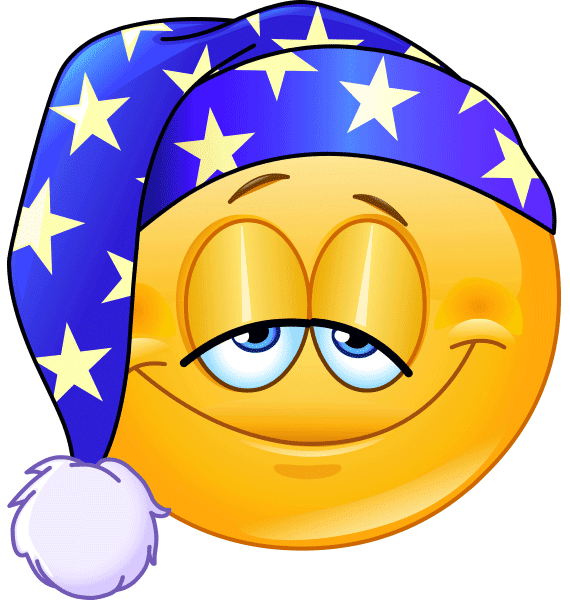 This emoticon is ready to enjoy some sweet dreams. 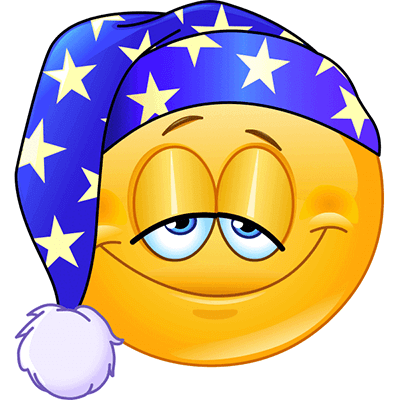 With his starry cap and drowsy eyes, this smiley is ready for a long night of rest. 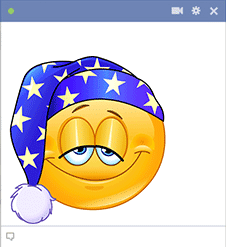 Tell your friends on Facebook that you, too, are heading to bed and will catch up with them tomorrow. It's been a long day. Get some shut eye!